Players in Destiny 2 can visit Xur on weekly basis. Xur is the provider of exotic items with rare levels for your inventory. 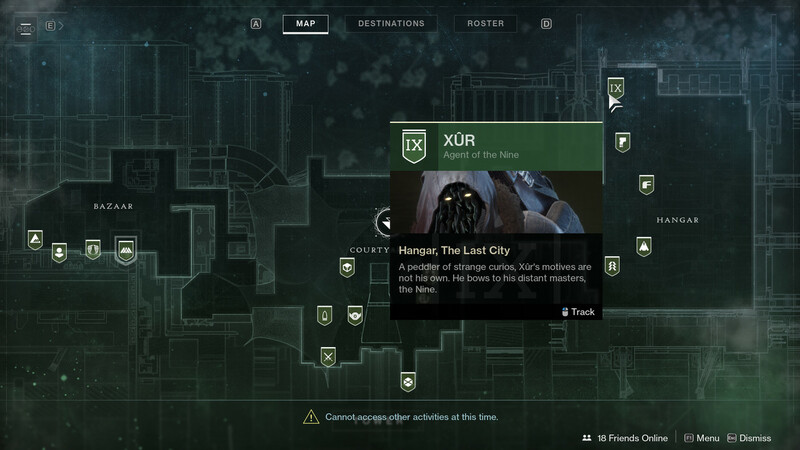 Developers of the game has changed the location of Xur in the latest update (released on 8 March 2019). Now for the next whole week his location won’t change and you’ll be able to see him again and again at the same place till 12th of March. Come 12, players will to have to wait till Friday to see Xur again. When he’ll comeback on Friday the 15th, he will appear on a different location and will possess different equipment. Different, still exotic and enticing. If you have not found him this week and are wondering where to look up for Xur, don’t worry, we got you covered. This article will guide you about the location of Xur. Remember, the location will be only valid for this week and once he disappears, you won’t be able to find him again till coming Friday on 15th of March. Same goes for the items he holds right now in his inventory, they can only be found before 12 March. AS we have already told you, for every week, Xur will change his location on the map and next week he will appear with new items. You can buy these items with in-game currency called Legendary Shards. Now for this week, Xur can be found at the back of the Hangar. If you want to buy anything from his shop, simply grind some Legendary Shards and head to the tower, then enter the Hangar. When you get inside, after crossing the Dead Orbit vendor, you’ll see some stairs. Climb up and after reaching the top look for Xur on the left side. Some of these items are pretty attractive and enticing. So, we would suggest that you visit Xur as soon as possible before he disappears into thin air again. Have you found him during this week yet or are you still struggling?